I will use this thread to share my collecting and prospecting interest; Pulls and deals I consider noteworthy be it huge or small. I thought I would start off with two Beckett Hot List RCs I acquired Saturday at our local show here @ Embassy Suites.
" I hope to not bore you all with post of my pickups." Isn't that Cubbie the one who lost to the jerk from the Angels in the Derby last night? Yep!..but that was one heck of a format and show last night. Wow!! I agree. I like the clock. Picked this one up from shop owner of my LCS. It is a crisp clean card with a simple enough design that has its own flair. 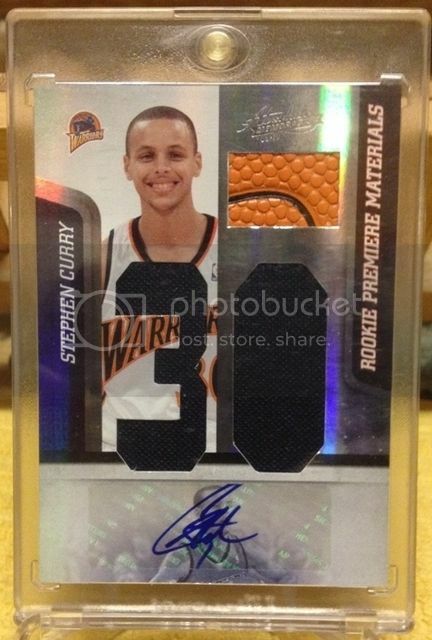 On card HOFer Auto #2/10!! Nice. I've been diggin the National Treasures even though the don't have logos. The designs are simple, yet eye-appealing. I have the Brooks it is a beautiful set! Saucey! Collecting Autographs of current Orioles and Nationals, Adam Jones, Ken Griffey Jr, Cal Ripken, Stephen Strasburg, James Laurinaits, Chipper Jones, Tom Brady, Albert Pujols, Michael Jordan, Peyton Manning, and Bryce Harper. GU of Mantle, Williams, Jackie, Lou Gehrig and Babe Ruth. 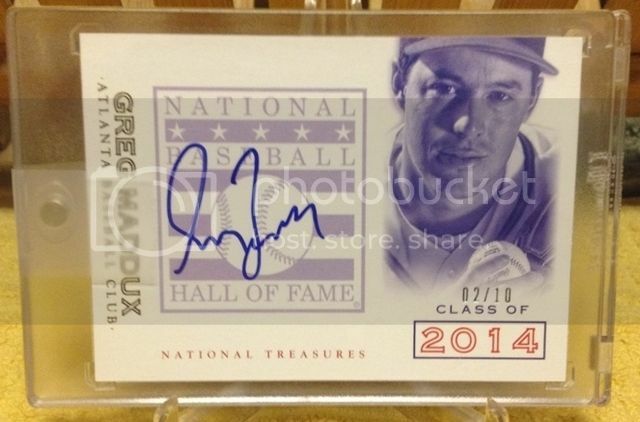 Huge fan of Maddux. Too bad the picture cuts off the top of everyone's head. Still not a bad looking card, but I prefer the 90's/early 00's auto designs, and all were on-card! 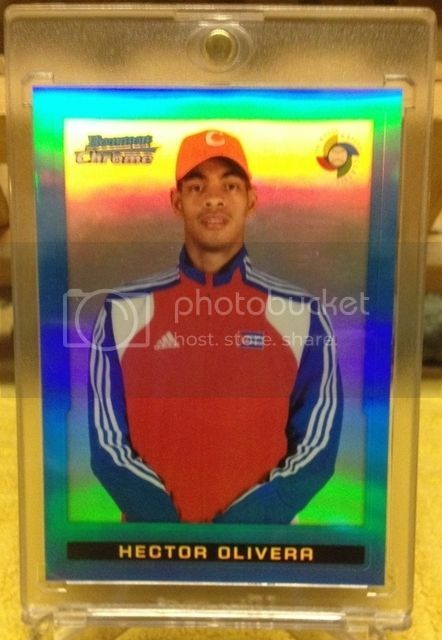 I'm glad the hat is cut off as Panini does not have an MLB logo license. 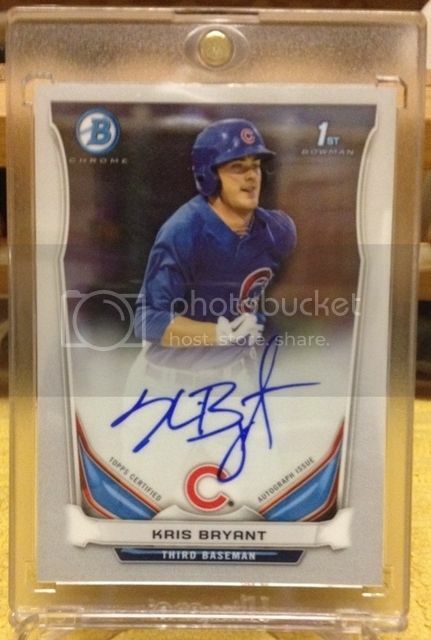 Chasing Kris Bryant was sometimes futile but the residual pulls from busting chrome still was not bad from my jumbo and regular boxes I busted of 2014, 2015 bowman and bowman chrome products. Here is just one prime example of a keeper sweet pull that Bluejay fans can appreciate. 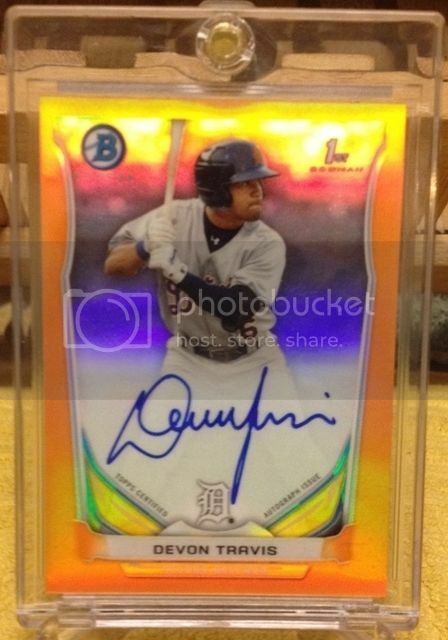 Orange Refractor Auto RC #/25 ( ready for BGS grading)!!! Devon Travis was my sleeper frontrunner for AL ROY until injury sidelined him a bit. When healthy this RC helped my daily fantasy lineup stats tremendously. this kid is the real deal and should be back to all systems go and then some after the break. Pretty sure most bluejay collectors can't wait to see him pictured in his current team uni. Sweet looking card. Nice crisp signature. 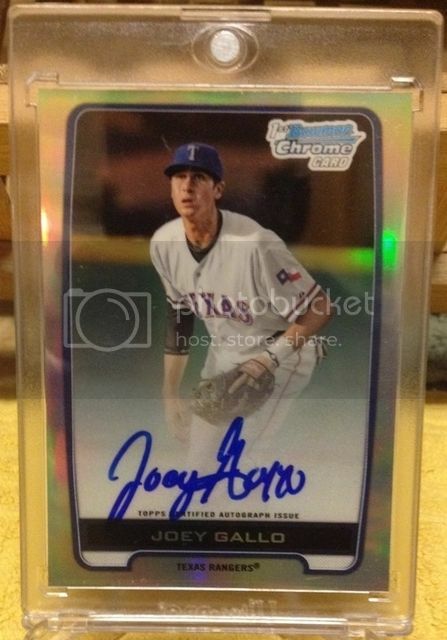 I bet refractor autos grade pretty tough. Hope you get the 9.5! 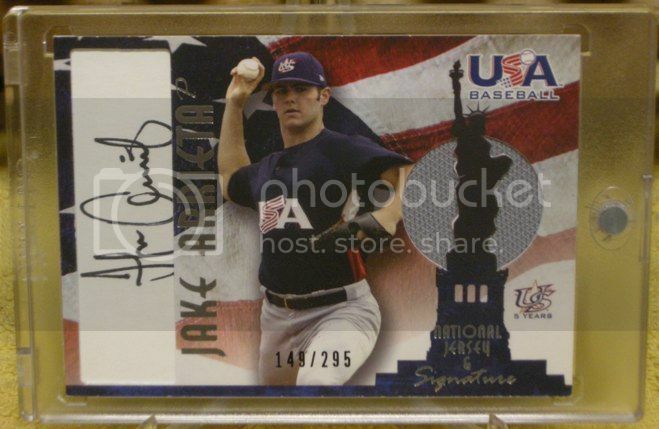 Jake Arrieta USA RC GU AU! !